The Dengue Awareness Program was conducted on 31st January 2015 in our college premises. An awareness program is started with a meeting of students and teachers. More than 100 students and faculty members assembled in the hall. 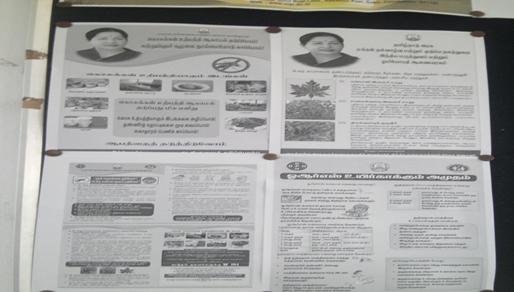 The walls of the hall were pasted with posters of Dengue Awareness. The meeting started with the demonstration of the causes and warning signs of Dengue illness by Mrs.P.Pratheeba, Assistant Professor, Department of Zoology. She also gave a stepwise approach to the management of Dengue and preventive measures and controls of breeding of Aedes mosquitoes which spreads Dengue. 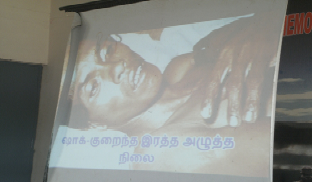 The Dengue Awareness films were shown to the students which illustrated the sources and measures to control the Dengue illness. The students with Principal and staff took the health pledge to take steps to eradicate the dengue fever completely. The students and staff moved around the whole campus to verify whether there are any potential breeding areas of mosquitoes like unused sumps and GLR inside the campus. All stagnant possible sources for stagnant water like tires, plastic cups, coconut shells, plastic bottles, broken pots etc were removed from the college premises and surroundings. 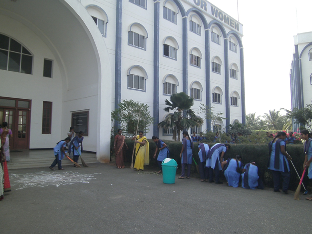 All unwanted containers and waste materials lying in the college premises were removed. Such materials were loaded on to the garbage collection vehicle. They sealed the cement tanks with plates to prevent mosquito breeding. The water storage containers were thoroughly washed with bleaching powder and brush. Water chlorination were also take place to avoid breeding of mosquitoes in the syntex tanks.